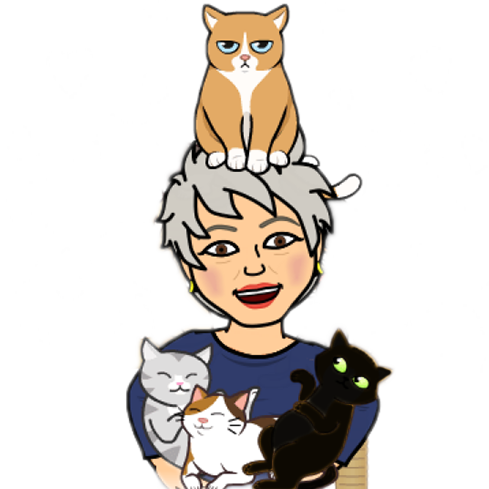 The Neely Cat Center in Pasadena, CA is named after a beloved 18 year old Siamese cat named ‘Neely.’ Neely’s owner-father, Bill Payden, wanted to establish a facility for cats that would provide compassionate, loving care. Following Mr. Payden’s death, his sister funded most of the facility from a $2.5 million dollar donation from the William R. Payden Philanthropic Trust. The result is the Neely Cat Center. This is a new home for homeless 'meowies.' There are babies...er, kittens & adult cats. Their cat trees are fun & modern. We like modern...& fun. The kittens were asleep except for the one playing with a hooman. Bet he got a forever home! Another kitten had two hoomans that wanted him!